I’m not a basketball writer anymore. Actually, I never really felt like a basketball writer, even when I was writing professionally about basketball. I am racked with guilt over this, but a big part of me is glad is it’s over. 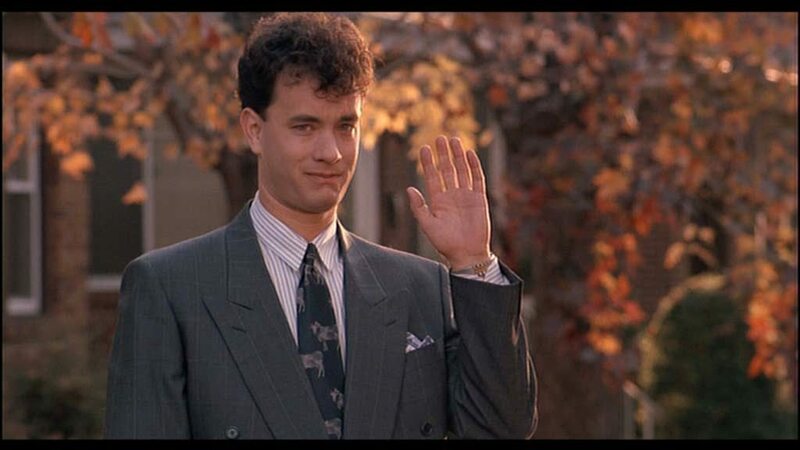 You know in the movie “Big,” how Tom Hanks’s character gets to be an adult and do all kinds of awesome adult things, even though, deep down, he’s really just a big kid? That’s how I felt covering the NBA for HOOPSWORLD and Basketball Insiders over the course of the last 12 years. I loved every minute of it, but I never really felt like I belonged. 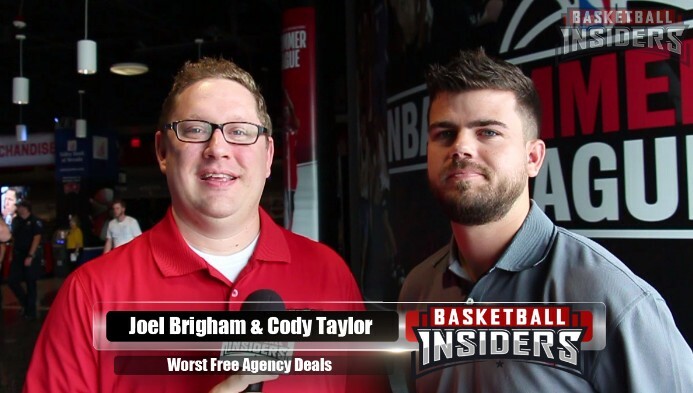 I used to read Steve Kyler’s column on bskball.com and just fell in love with the colloquial way he talked about the league and shared his various tasty trade rumors. The man is one of the most plugged-in people I’ve ever seen in the sport. He knows everybody, and he gets information from those everybodies and relays it to his readers. As a reader my entire adult life, I’ve gobbled up his columns like a family-sized box of White Cheddar Cheez-Its, which aren’t allowed in my home because I have no self-control. In HOOPSWORLD’s earliest days, Steve wanted to hire writers in every NBA market, so when the Chicago Bulls position opened up in December of 2005, I went for it, even though back then the position was unpaid. I’d never had an audience before, and HOOPSWORLD provided my first opportunity to write for actual people who wanted to read what I was writing. This, of course, was in stark contrast to high school, when I wrote a crummy homemade newspaper called The Slang Editorial that literally nobody cared about and was objectively awful. What a change six years can make. And thank God. 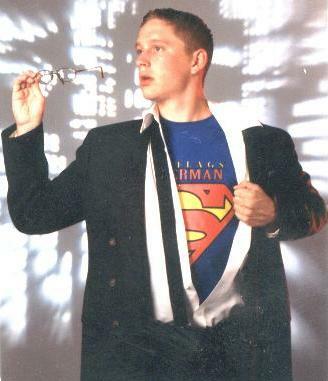 High school was a very stupid time for me. Within a year of taking on the writing position with HOOPSWORLD, Steve received a big offer for the website, but it meant trimming back on some writers since the startup money wouldn’t allow him to pay everybody. As I recall, I was the last man in, having been so new, but that meant I’d get to start covering Bulls games in person instead of just following the news from my desk at home. I was asked to cover my first Bulls media day in the fall of 2006, but I didn’t entirely believe it was real, even when it was happening. I walked into the Berto Center in Deerfield that afternoon and tried to grasp that I was standing in the midst of players I’d been rooting for from the stands just a year prior. Ben Gordon. Luol Deng. Kirk Hinrich. 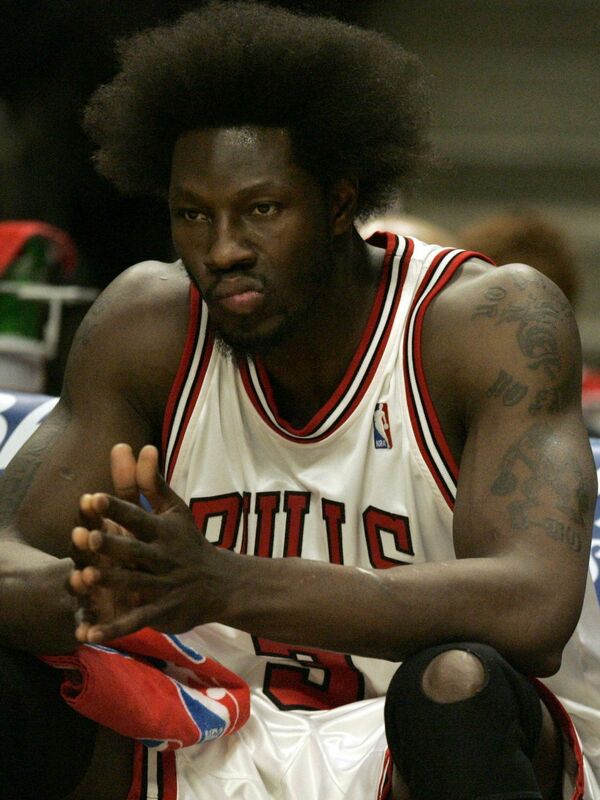 The front office also had just signed Ben Wallace, which was a huge deal at the time, and I just felt like I was sleepwalking through the whole thing. In retrospect, I probably should have been less excited. My first interview was with Thabo Sefolosha. He was a rookie from Switzerland and super-happy to be there, so he gave me some decent time and answered all my questions. Then I moved around to Hinrich, Deng, Gordon, and several of the other players in hopes of doing what was expected of me. Understand that I didn’t take a single journalism course in college. I was a Creative Writing and English Education double major, so I didn’t know what the hell I was doing. I just watched the veteran guys do their thing and tried to imitate them. It was enough to keep me in the game, so as I covered more and more NBA events, I kept watching the pros from the Chicago Tribune and the Sun-Times do their jobs in hopes of emulating them. I didn’t ask a lot of questions in media scrums those first couple of years because I was entirely too shell-shocked and insecure to do so, and later, when USA Today purchased HOOPSWORLD and pressure mounted for me to “develop sources” and “break news,” I felt even more inadequate. I didn’t have the first idea how to do those things. USA Today paid pretty well for a couple of years there, and the more money I made, the more guilt I experienced. I found myself thinking a lot about all those journalism majors who went to college to cover sports and had paid their dues covering high school and college games for years in hopes of landing a gig on the professional beat. I literally tripped and fell into the position, and while I was really good at conducting interviews and writing interesting feature stories, the work never felt totally “right” to me. I still worked incredibly hard to be a professional and get better at making some connections in the buildings where I was working on so many Saturdays. As a result, I got to meet so many of my childhood idols—Michael Jordan, Scottie Pippen, Shaquille O’Neal, Chris Webber, Larry Bird—and I got to check off a ton of my Sports Bucket List items, including everything from the NBA Finals to All-Star Weekend to the NBA Draft to Michael Jordan’s Hall of Fame induction. I’ve made great friendships I hope will last the rest of my life—Jason Fleming, Bill Ingram, Alex Kennedy, Lang Greene, Moke Hamilton, Oliver Maroney, and of course Steve Kyler (plus a host of other amazing writers too long to list here). And Cody Taylor! Don’t forget about Cody Taylor! I’ve published hundreds of articles and improved as a writer. I’ve learned to work with editors and grow from constructive criticism. And I’ve learned to step outside of my comfort zone because I’ve seen the opportunities that present themselves when I do. Despite everything, it was about a year ago that I started to feel like it was over. All those long drives to Chicago and Indianapolis can get tiresome and tedious, and to be honest, I’m getting old enough where the players had started to see me as a generation removed from themselves, and that was affecting the quality of interviews I was getting. My daughters are old enough now where I really felt like I was missing something when I’d leave them for the entirety of a Saturday and I’m also eight classes into a master’s degree in education. With the family and the full-time teaching and the extra coursework, my schedule had gotten to be so stressful that something had to give. But I also came to realize that I’m a writer, not necessarily a journalist. I’ve only got so many hours in a day to put my fingers to the keyboard, and I started to feel this itch to write books rather than stories about athletes. In January, I started my first novel in nine years, and the process of finishing that book in the months since has been one of the most rewarding experiences in my life. Don’t think I won’t miss it. As I’ve gotten to know the writing community and learned more about the craft that goes into doing this type of work, I’ve felt so much more at peace. I don’t feel inadequate building characters and describing settings and writing YA literature for the types of kids that I teach every day. When I write books, I feel like I’m doing what I’m supposed to be doing. 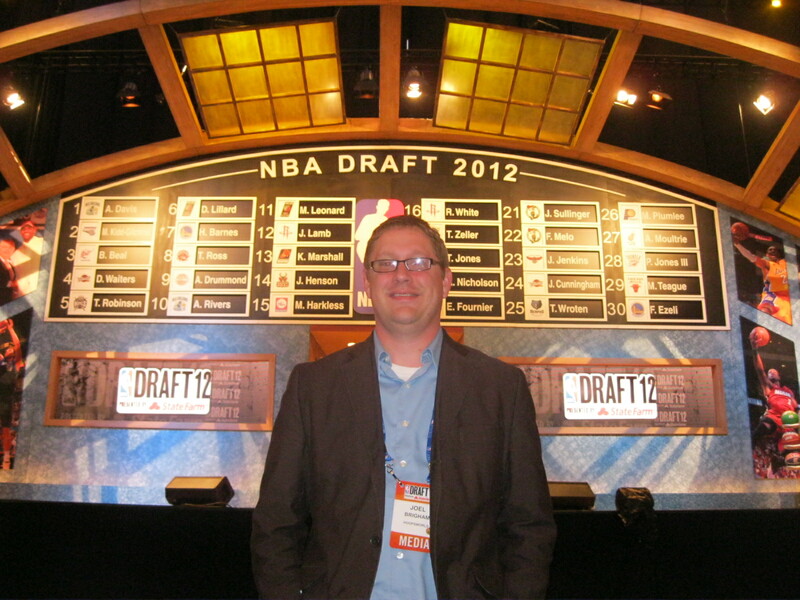 So no, I’m not a basketball writer anymore, but I’m a better person because I used to be one. I’m pretty sure the movie “Big” ends basically the same way.